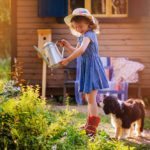 Home / Modern Pest Blog / Is Pest Control Safe For My Family and Pets? As parents to kids and furbabies, alike, we often go to great lengths to ensure their health and safety. For the children, we buy the best absorbent diapers, car seats, safety gates and organic foods. We make sure the pets are groomed, walked and never left in hot cars. Regular visits to the vets and doctors – check. Healthy diets – check. 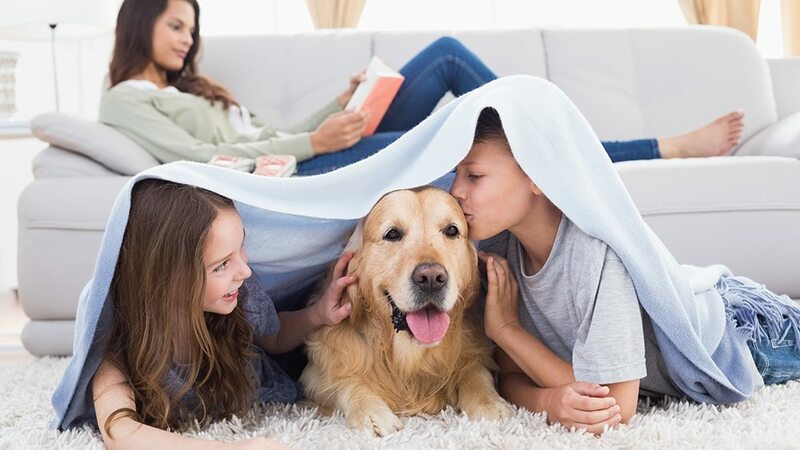 Pet-proof and child-proof home – check. So when it comes to pest control, it stands to reason that safety is top of mind for many. For the folks at Modern, we share those same concerns. We have families and pets, we live and work in the same neighborhoods we serve. We also understand, as pest experts, that letting pest issues go unchecked can become a health and safety risk as well. So when we are frequently asked “Is pest control safe for my family and pets?”, we understand all too well the concern behind that question. The concern often stems from the use of pesticide materials to treat pest issues. At Modern, our number one priority is to keep you and your loved ones safe, while also keeping your home pest free. 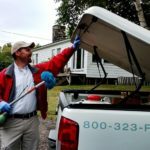 Our team is highly trained in Integrated Pest Management (IPM) techniques. 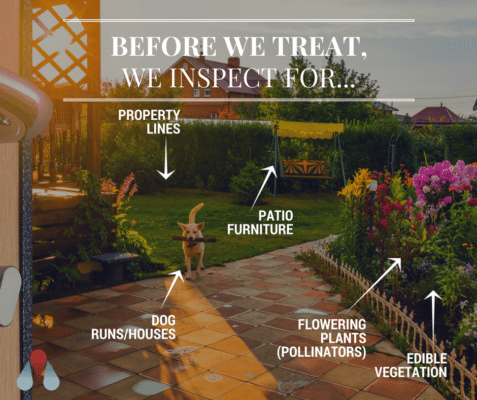 This is a specific approach to pest control that allows us, through inspections, to first minimize pest activity by understanding the biology of the pest. Then with that information, we minimize or remove the favorable conditions that enable the pest to thrive in and around your home. This essentially allows us to begin treating the issue at its source, thus limiting the need for pesticide use. Next, we use very targeted applications, at pest “hot spots”, using the least amount of material as possible. Random applications are always avoided. Because these “hot spots” are often in cracks and crevices of your home, applications are often then inaccessible to anything other than the target pest. Our highly trained team will look out for areas to avoid making applications. Such as in places that your family and pets have frequent contact, edible plants, open windows or patio furniture, to name a few. Once the application has dried the material is non-transferrable. As a result, we recommend that children and pets remain away from treated surfaces for several hours or until dry. Choosing Modern Pest means you get a team of truly knowledgeable professionals, who are consistently prompt, efficient, polite and helpful. We protect you against 60 common household pests with the Homecare Green program, using minimal pesticide exposure and the latest IPM techniques. We understand that customers just want the job done, and done right – which is why we offer 100% satisfaction guarantee. Modern customer’s often indicate how professional our service pros and customer service reps are. They share how they appreciate the call ahead appointment confirmations and that we take the time to educate and explain what we do at each service. As Pest Management Professionals, we take our jobs very seriously, and we’re proud to be making a difference in people’s lives every day. If you have a pest problem, don’t try to tackle it alone. Give Modern Pest Services a call today at 1-888-997-3312 or contact us to get a FREE quote for the comprehensive HomeCare Green program that controls 60 common pests, year-round! Now offering $50 Off your first service!